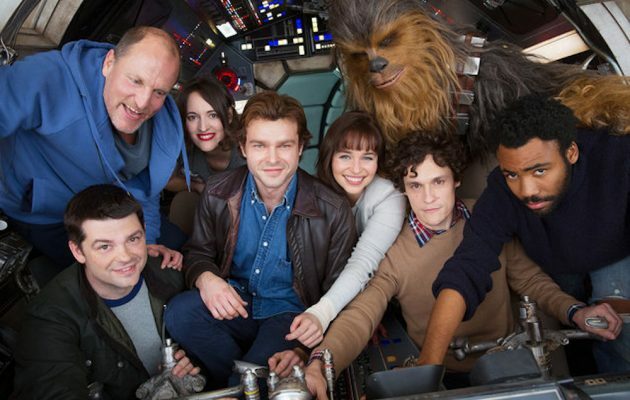 The first photo of the cast of the upcoming Han Solo movie has been officially unveiled at it is, frankly, spectacular. A spinoff from the regular Star Wars franchise movies, this standalone flick will focus on the early years of everyone's favourite space smuggler. So what's the deal with this? Well it's directed by Phil Lord and Chris Miller of 21 Jump Street and The Lego Movie fame, has a killer cast and is due for release in May 2018. But you know what - we can't wait that long!! So, let's try and analyse every last detail of this press shot to get as much info as we can about the greatest franchise tie-in this side of the galaxy. Because if they are gonna be this secretive, we have no choice but to speculate wildly. 1) Alden Ehrenreich, aka Han, has a jawline so damn chiselled you could cut cheese with it. We presume some sort of intergalactic cheese board will come into play during the first 20 minutes or so in order to accommodate this. 2) Woody Harrelson is clearly drunk and/or high, therefore he will be playing the role of a weed dealer, moving exotic herbs that sound great when you listen to classic album The Dark Side Of The Moon (Of Endor). 3) Look at Emilia Clark's hand. She is either gonna be a love interest for young Han (who wouldn't want to stroke that pointy chin) or is desperate to fly the ship. Could Khalessi end up taking over the whole operation? 5) Alden's leather jacket makes him look a lot like a young Indiana Jones. Can we please see Alden in a new younger version of Indiana Jones? But, whatever you do, just make sure it's not a new version of Young Indiana Jones - that was bad enough the first time. 6) Where is Thandie Newton? She's in this too right? Is her character already dead after one day of shooting? Will she rise again like in Westworld? 7) Donald Glover will KILL IT in this movie. We have no new evidence. He's just that good. Look at that eyebrow - that's a man who has confidence in the fact that he will soon be the biggest movie star in the world. No word yet on how all this will affect the legendary Star Tours ride at Disney World but we are sure details will follow soon. 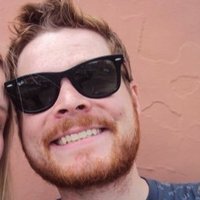 More news whenever we get it because we are seriously HYPED for this one.